Today we have a very special treat. 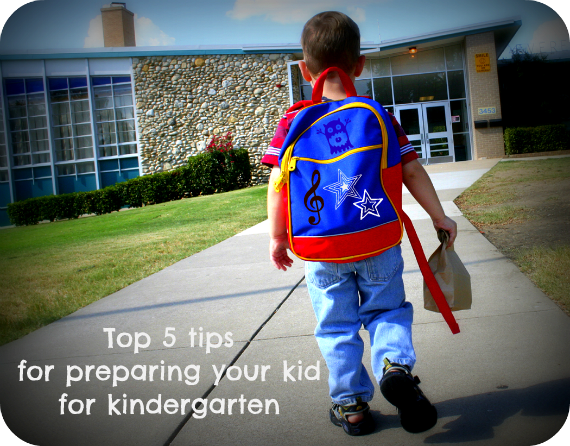 Cherrie from NuBaby is sharing 5 great tips for preparing your child for kindergarten. Cherrie is the Founder and CBO (Chief Baby Officer) of NuBaby. She is a Registered Early Childhood Educator who recently led the workshop that our little family attended about ‘preparing your child for junior kindergarten’. As many of you know, my three year old starts kindergarten in September. She’s ecstatic about going to school, however we’ve been apprehensive about this big transition for our little girl. At the workshop we attended, Cherrie laid all of our fears to rest and gave us some great tools to start working on with Brie. She is very knowledgable and you will learn a lot from her top five tips for preparing your child for kindergarten. With September just a few weeks away, the thought of your baby growing up and going to school may give you your first taste of empty nester syndrome. OK, so it is not as bad, but there are definitely a range of emotions from excitement to sadness, and everything in between. While you can’t help but feel a little anxious, knowing that you have helped your little one prepare for the big day will help to minimize the fear, for both you and her. Whether it is your child’s first time away from you or she’s making the transition from childcare to school, here are some things you can do to help make the move easier. 1. Talk about it. Not knowing what to expect is very scary, so talk about what going to school will be like. Share stories of your experiences, or include older siblings and cousins in the discussion. Tell your child about all the exciting things and activities he will experience in kindergarten, and offer lots of opportunities for him to share his feelings. Provide comfort and reassurance to help him feel more confident, and remind him of all the things that will still be the same even though there will be a new routine. 2. Go for a visit. Children are most comfortable in a familiar environment. Try to visit the classroom with your child before school starts. Most schools have an orientation day, when you and your child can meet the teacher, ask questions, and find out what the daily schedule will be like. It is also a great time to meet other children who will be in the same class, as well as connect with other parents. If not, take your child to the school and walk around the school grounds together. Playing at the school playground will also help her become familiar with the environment. 3. Make some friends. Walking into a classroom with all brand new faces is very intimidating. Find other children in the neighborhood also attending the same school, preferably the same class and schedule some play dates in advance so there is at least one familiar face. If you will be walking your child to school, find others in the neighborhood that are walking as well and walk to school together to give your child a sense of community. 4. Get ready together. In the weeks before school starts, establish a school day routine and practice getting ready for school together. Have her help you prepare snacks and lunch and practice packing her backpack together. 5. Practice important skills. In school, your child will be expected to be able to communicate, to demonstrate basic knowledge, to socialize with others, and to show independence. Help her practice these skills during every day activities. o Encourage communication by playing with spoken and written words, telling stories, singing songs and reciting rhymes. o Encourage literacy and basic math skills through reading books together and asking open-ended questions. Build an understanding of math concepts like counting, sorting, patterning and measuring during play. o Create opportunities for your child to socialize and interact with others. Engaging in dramatic play experiences with peers allows children to talk, assign roles, and create and follow rules. This helps to develop important social and thinking skills as they learn to cooperate, take turns, and get along with others. o Encourage your child to be independent by building confidence and self-control. Help your child develop strategies for controlling his emotions and behaviors and provide opportunities for your child to develop self-help skills. Not only will she feel pride in her ability to do things for herself, but she will also develop the confidence to try when faced with new challenges in kindergarten. In this second installment of my new series Interview with a Blogger, I have the chance to introduce to you to Katherine. 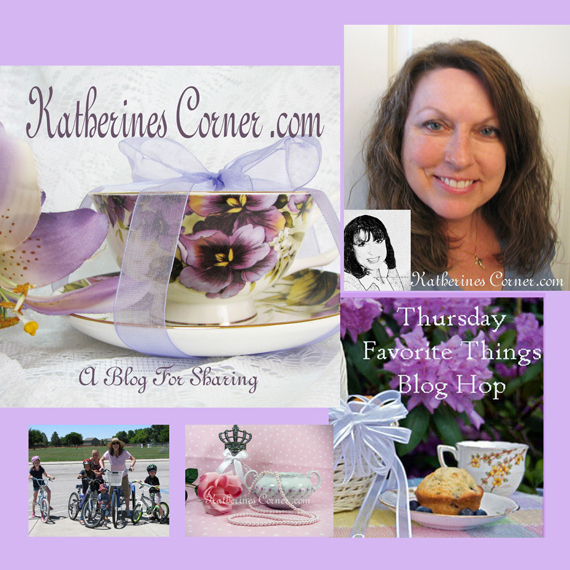 She is the creative tour de force behind the duo of blogs Katherine’s Corner and Keepsakes by Katherine. This is her blogging story! Before I begin I would like to take a moment to thank Char for shining a spotlight on me today. I am honored to be featured on her blog and grateful for her friendship. Q.) Katie, can you tell us a bit about yourself? A.) I’m Katherine (some call me Katie). I was born in England on Nov 1st 1960 and I came to live in the USA in 1975. I currently live in a state where I can see the beautiful mountains from my kitchen window and a lake from my upstairs bedroom window. I am happily married to a wonderful man, we have five beautiful grandchildren. We recently added a sweet fur baby to our family and we are happy pet owners of a puppy named Izzy. I hold a rare dual citizenship with the UK and the USA and I am a proud citizen of both. I am an open minded and spiritual person who strives to always maintain a positive attitude and greet each new day with grace, dignity and gratitude. I am a self-employed artist and designer. Q.) What inspired you to start blogging? A.) A rejection letter from a publisher got me started. So Katherines Corner (originally known as Go Ask Katie) was born. Q.) What do you find most challenging about blogging? A.) Two things, I think it’s the same thing most bloggers find challenging. The need to stay fresh and keep the readers interested. You are putting yourself out there and you want people to want to read what you have to share. Also the desire to build an audience. Q.) What do you find most rewarding about blogging? A.) Bloggy friendships! They are amazing. The hugs felt through words and the bond between blog friends brings me true joy. Q.) How would someone describe your blogging style? A.) I would hope they would describe it as reliable, comfortable, worth reading and filled with sharing spirit. Q.) What is your favourite topic to blog about? A.) Oh my goodness, I could never pick one favorite. I love sharing everything. Q.) What’s the best thing a blogger can give to their readers? A.) Themselves. I know that may sound cliché, but bloggers need to be provide a blog that is true to themselves in order to reach the readers. Not a carbon copy of other blogs. Q.) If someone was interested in blogging, what would be a few things you would suggest? Know your audience. Make the decision up front who it is you want to read your blog and why and write with them in mind. Don’t go to crazy with your private information; remember once you put it out there everyone everywhere can see it. Q.) How do you spend your time when you aren’t working on your blog? Q.) Where can we follow you? Thanks for sharing about your slice of the blogosphere with my Epic readers Katherine! In this first installment of my new series Interview with a Blogger, I have the chance to introduce to you to Devon Riesenberg. She is the creative tour de force behind the travel, foodie, lifestyle blog called The Jack Chronicles. This is her blogging story! Q.) Can you tell us a bit about yourself? A.) My name is Devon and I’m a stay-at-home mother to active and sweet Jack, and wife to software engineer/beach bum/super dad John. I like to cook, craft, and be on vacation as much as possible! My life is filled with hide-and-seek, peek-a-boo, splat mats, strewn toys, cleanups, melt-downs, sunsets, palm trees, ocean breezes, and my photographs that document it all! A.) Technically, my first blog was launched in September of 2008 to track my 5 week long honeymoon throughout Europe. content revolving around my son, I was totally inspired by the notion of connecting with fellow bloggers and providing help, inspiration, and even friendships through the awesome blogosphere! A.) Because of my love for memory-keeping (I am picture-obsessed, I keep journals, scrapbooks, and memory books), I struggle sometimes with a balance between recording my life events on my blog and remembering to also speak directly to readers and be conversational and candid. A.) Kind emails and comments, and when I know I have genuinely brightened someone’s day—as so many blogs I follow do for me! A.) Vibrantly-photographed, positive, creative, and family-oriented. A.) My life experiences. It could be just a walk through the neighborhood or a family vacation to Hawaii. I try to pursue experiences and adventures rather than material possessions, but I do love putting together “it lists” with collections of coveted products, delicious recipes, and stylish fashions. Q.) Everyone has a favourite or least favorite post. Name yours and why? A.) The ability to relate. There has to be a connection, either in your blog content or in the comments you write back to your readers. A.) Join twitter and connect with at least 10 bloggers in your area of interest, seek out “blog hops” and participate, DON’T activate the “captcha” spam filter on your commenting section (it discourages readers because it’s too time consuming), and DO regularly try and respond to every comment. A.) Raising my 14 month old son is a full-time job! We like to play trucks, read “I Spy” books, go to music class, take stroller rides, and have playground dates. We do not like to have “the talk” about screaming in public or “the talk” about how golf clubs are not for smashing walls. Thanks for sharing about your slice of the blogosphere with my Epic readers Devon!